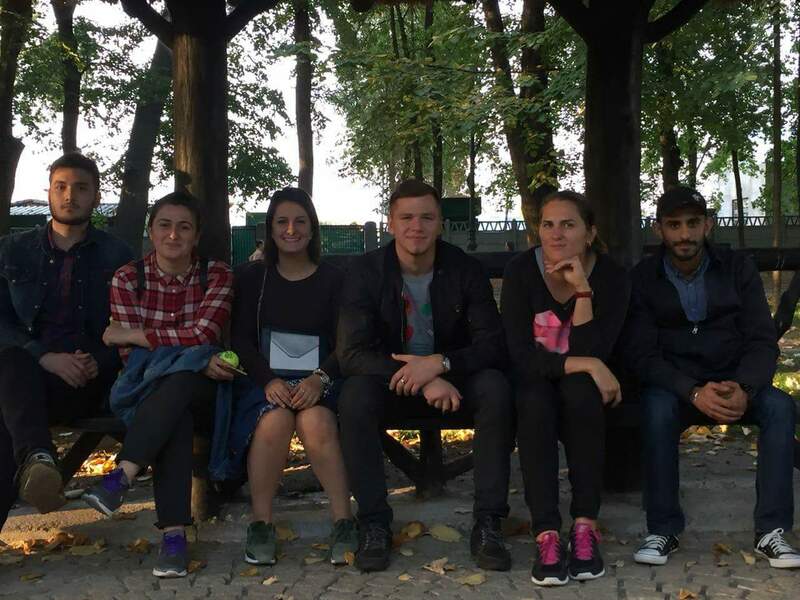 EVS Rustavi: EVS hello from Romania! "Here we are, in Craiova and think, that we are members of the best project, which we are making with an amazing team! So, name of our project is Purple, which was created to increase the opportunities of intercultural development and international cooperation among communities in Craiova. 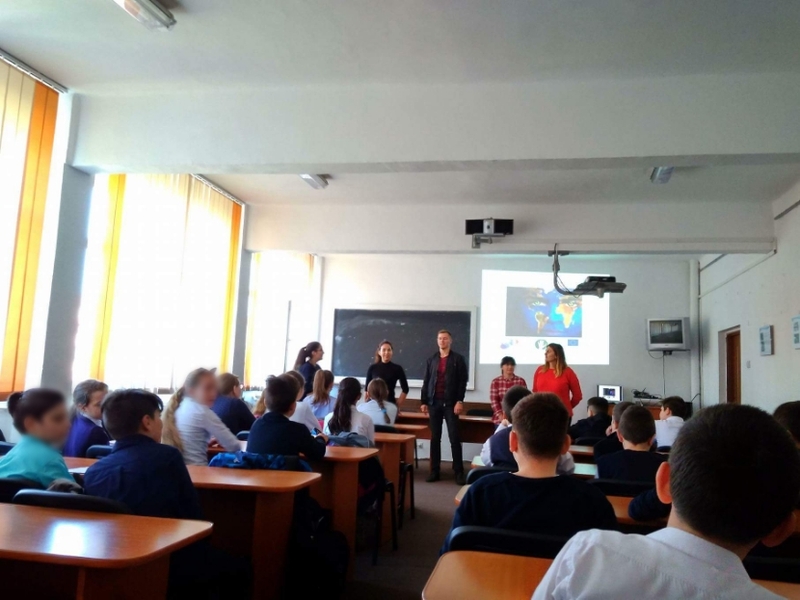 For this we are working at schools, where have meeting with pupils about many interesting topics. Including intercultural education, bullying, LGBT community, European values etc. 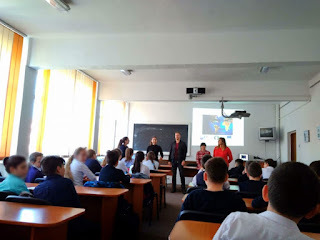 For us, discussing about these topics is very important, because you feel, that you can change something in the society and you have opportunity to work with these fantastic children! But despite of working at school, we are making other interesting things also. 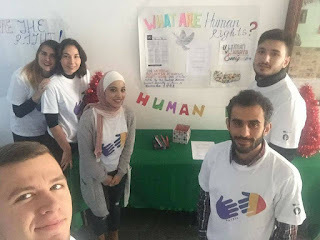 For example, we made video interviews about the topics, which were mentioned above, made a very interesting brochures and photo collages, had events about international day for tolerance and celebrated international day for migrants, had intercultural event etc. Every day here is full of emotions and you are in the process of making something amazing. It is our third month here but we are sure, , that the future will be better! In general, our project period is five month. But, you can not make anything if your group is not full of hard-working, friendly, lovely people and fortunately, out team is like this. We are volunteers from Georgia, Ukraine, Jordan, Russia and we are working together like one team. All is us have ambition to do our best and because of this working together is happiness for us. We are not only colleagues, who are working in the one place, we are the best friends now with so many sweet memories and experiences. These people became very important for us. In general, EVS is not only team, with whom you are working. Here you meet too many projects and people, with whom you fell in love so much, can’t imagine life without them and it’s difficult think how life will be when you will go back in your country and not meet them every day.Here is a place, where you have opportunity to meet people from differences ethnic groups, with different religion, different culture and it is a very interesting, this experience really will change your life. 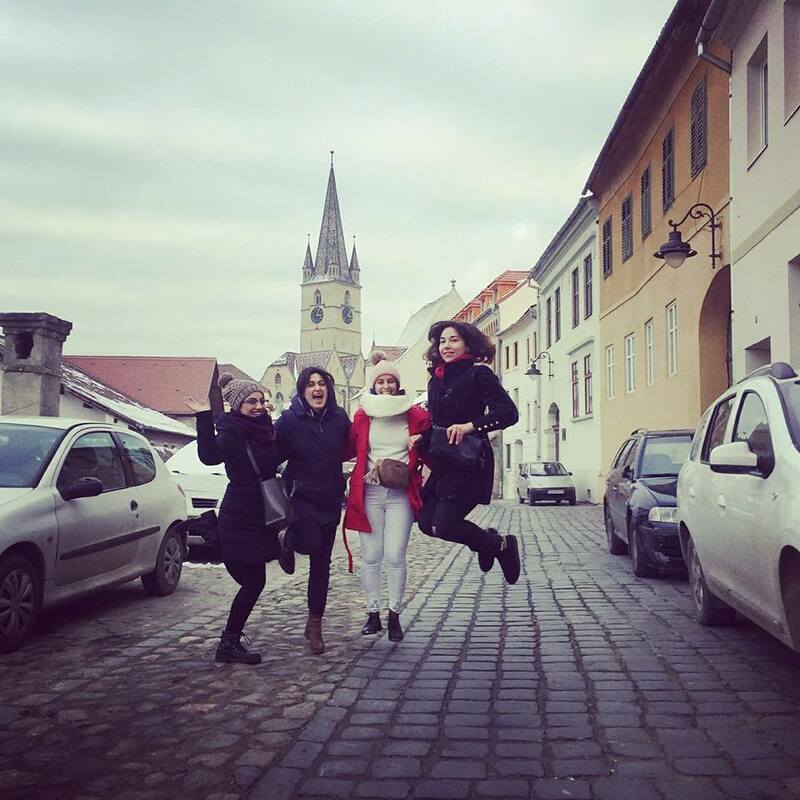 When you are volunteer you have opportunity to travel in other countries and of course in Romania. For us, the best experience is discovering other cities of Romania, how beautiful, historical, interesting they are. When you are traveling from one city to another you fell in love with this country and people, who are living here. 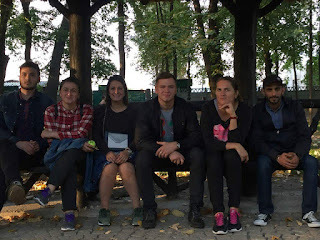 We think, that be volunteer is an amazing experience and we are lucky, because we are making this in Romania, in this small and green city with the best team! "